I put off writing about these two books because around the time I read them some stuff happened and I wanted to write about that stuff but I just haven’t felt comfortable about it so I put it off and put it off and then (now) social media got downright stabby at a young woman because she may have plagiarized some other poets and in the midst of that mess was an aside that oh by the way Rupi Kaur may be a plagiarist as well. I clearly missed that Twitter Outrage moment. The concept of plagiarism is one that I find really really interesting. Blatant acts of plagiarism I think we can agree are bad, or wrong, or whatever, but there is an intentionality that is necessarily there in the act. Intention is one of the pillars of our criminal justice system. So what of unintentional plagiarism? To be good at one’s craft it is beat into you that you must study the craft i.e., to be a good writer you must read a lot of other writing. How easy, then, would it be to believe that you have a unique idea when in fact it is one that you read and unbeknownst to you your mind stored away somewhere. I think it happens all the time. I’m so sure that I’m sure that I’m not the only one to think so. I also think it’s possible to have a unique idea that someone else also has. In terms of banal ideas that a plethora of people share, I think that Kaur’s books are really great. Hey you know when you’re all like I should get an advent calendar this year and then it’s a few days into December and you’re all damn it…. 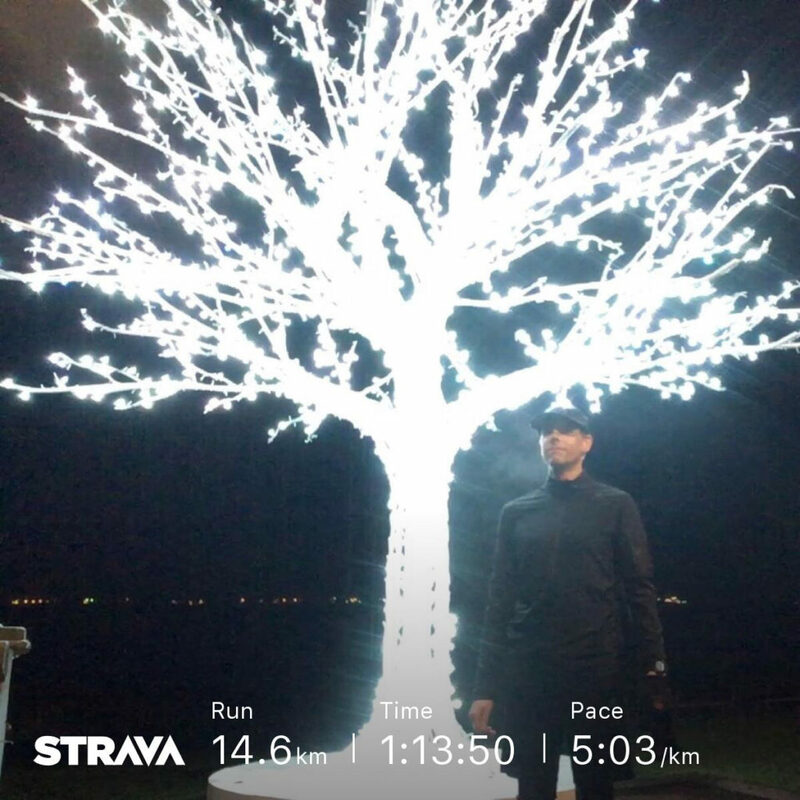 Back at the end of November I decided that for December I would try to record an activity in Strava everyday, whether it is running, cycling, or swimming, which I’m calling Every Dec Day. And then as I’m watching Strava I kept seeing people I follow posting Run Rudolph Run and wondered what’s that. So I found the Strava club and the Facebook page and the Google Docs page and it looks like fun but it is entirely run focused and I’m not really entirely run focused right now so I opted to try to keep it in mind for next year and continue on with my run / bike / swim for 31 days in a row and since then I have run every damn day. It simply hasn’t been bicycling weather, and while swimming is probably very good for me and gives my knees a break it is terribly boring. Throw in some pool jogging and my gawd I might just hope to drown. Today the weather was particularly awful and rather than go for a swim I got a different sort of soaked out on the Seawall and while it wasn’t the quickest loop of the park it was really rather pleasant. On a side note WordPress updated its editor and while currently I hate it I’m sure that in a week or two I won’t remember what the old one looked like but I still really hate it right now.